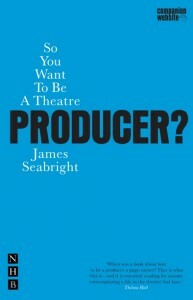 This site contains resources and commentary supporting my book So You Want To Be A Theatre Producer, which was published by Nick Hern Books in May 2010. The cover price is £12.99. The Kindle version can be found here at Amazon for £8.51 (at the time of writing). Do please feel free to leave a comment in the Feedback page if you have a question about the book or its contents, and I’ll do my best to get back to you. I’ll also be posting any email correspondence I have with readers on the comments page, so that hopefully this site becomes a useful resource for everyone who buys the book and wants to stay updated about changes to common practice, and any developments that change the way producers go about putting on shows. January 2015 Update: Read this post for a series of updates on the book’s contents based on developments since publication. Producer Book Companion Website is proudly powered by WordPress and the Simplicity theme.